The asbestos tile is a kind of roof water proofing material with the features of large effective using area, fire proofing, damp proofing, corrosive prevention, heat resistance, cold resistance and light weight etc. 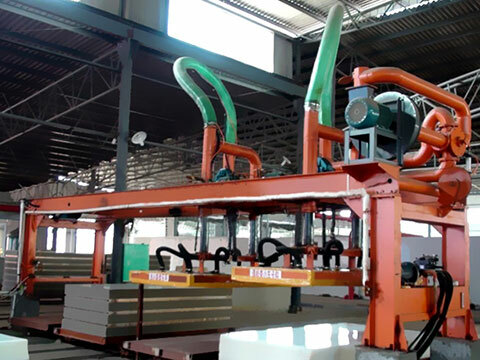 The asbestos tile production line adopts two processing methods: the copying and pressing technology and the vacuum molding technology. The former is relatively mature and adopts the improving paper making technology which can produce the high density products. The latter is difficult to maintain and needs much investment so few people choose to use it. The domestic manufacturers tend to adopt the pressing technology in the production line with little investment to realize the high yield.